If you’re feeling poo, your ego is no doubt in control of your thoughts. It’s telling stories about things that have happened, are happening or might happen. Stories is all it is, sugarpeach! Let’s shine a light on this fake news! (Eww sorry about that Trump ref!). 1. Give a name to the feeling. Firstly, which emotion are you feeling? Note down a few words that seem to pinpoint the way you feel when you’re down. Eg. Hopeless, lonely, angry, betrayed, frustrated. 2. Take a moment to think of a negative thought which this feeling comes from. If you struggle with this, note down what is upsetting you / annoying you in life right now, and put this into a sentence. Eg. ‘I can’t get any peace’. Or ‘I can’t afford to be happy’. 3. Consider if this thought is true. Can you know that it is 100% true, for sure? For realz? Like, certified and locked in? Shining a light on a negative thought weakens its grip. My negative loops are quivering in their boots right now! 4. Choose a replacement thought. Replacing the thought with a more positive one changes your experience. Instead of thinking the negative thought, you affirm a positive alternative to yourself. 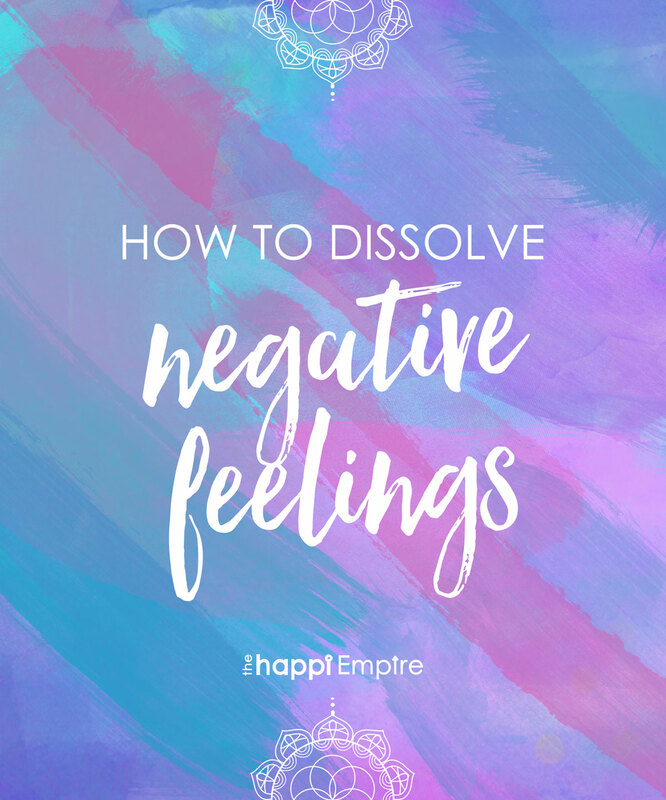 The most powerful way to dissolve a negative thinking pattern is to replace it, rather than just let it go. If you let it go, it’s like there’s a hole there that needs to be filled and if it’s not filled positively, the negative thought loop will take hold once again. Think of a positive statement you can tell yourself, to replace this thought. An affirmation or mantra is very useful for this. 5. Write your new thought out and recite it every day. This could be in your journal, set as a reminder on your phone, or maybe a little sticky note in your handbag. Find what feels good for you. A Course in Miracles teaches that we have a mountain of unconscious guilt that is triggered by challenging events and shows up as any form of negativity, from anger to loneliness. The game of life is to cultivate a state of ‘miracle readiness’, armed with tools like this process above, so that when pain shows up, you can process it and return to the light again. A Course in Miracles urges us to check in with our inner guidance, so we don’t have to do this alone.